Hi everyone and welcome. 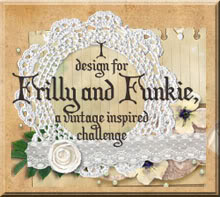 Today sees the start of a new challenge over at A Vintage Journey, sponsored generously as ever by Country View Crafts. Astrid is our host this time and has chosen the theme 'The Colours of Autumn'. "Who does not love the beautiful colours that Autumn brings? The oranges, muted, deep reds and all the many different brown and green hues. Tim's Distress range should give you many choices. Make a project incorporating some of these colours, but don't forget this is a shabby vintage challenge, so no brights or cute please!" For those of you who saw my Destination Inspiration 'Faux Rusted Metal Effects tutorial' you'll remember I promised to use the first of the backgrounds on a future project, so, true to my word, the faux rusted iron piece has become the backdrop for my autumnal offering.I layered it onto a piece of Tim Holtz Wallflower paper stash. I'd stamped, stained and cut out the mini Blueprints leaves for another project (long since abandoned) and scattered them on the metal as the whole autumnal look became stronger. This then lead to the addition of twigs and acorns, both using Distress Embossing Powders, to form a seasonal bouquet. I also found a dyed and embossed ticket which fit the colour scheme. Sometimes cards and projects are planned, sometimes they just evolve, and this was definitely one of the latter. The 'bits and die cuts box' was raided where I found washer borders cut from some Distress Embossing Powder (mixed with Silver Embossing Powder) and kraft core card. It looked a little lonely so I cut a piece of kraft core card with one of the Framelits tag dies, rubbed it with a sander to reveal some of the lower colour, and clear embossed it with some of the Hashtag stamps. To pull the whole lot together and bring out some of the colour from the Wallflower paper I stamped and coloured a dragonfly, including stamped acetate wings, and a matching dyed seam binding bow for the tag. A little black twine and Muse Token finished the bow, and therefore the card. As this whole card was based on the results of one of my faux rusted metal techniques I'm entering this into the Simon Says Stamp Monday challenge 'Rock The Technique'. I am also entering The Mixed Media Card Challenge 'Autumn Colors' which asks for leaves or metal - you got both! And The Artistic Stamper Creative Team challenge is looking for 'Autumn Colours' so this definitely fits. Meanwhile I hope you will join in with 'The Colours of Autumn' challenge over at A Vintage Journey and I urge you to hop over there to see what my fellow Creative Guides have completed. 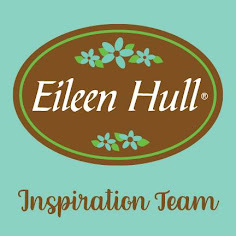 The Tim Holtz Idea-Ology, Stampers Anonymous and Distress products used in this card can all be found on sale at Country View Crafts. Fantastic colours, features, and beautiful design. Love this card Jenny, the use of the faux metal is brilliant and the whole thing is so cleverly put together! Beautiful composition and I adore the autumnal additions. The acorns are so cool, I think this card is a new favourite, love it!! Fab mix of rusty metal and the blueprints - lush! Warm colours, great shapes and layers, so nice in total Jenny! Such a beautiful card Jenny, I love how you used your DI piece and the bits and bobs box turned up trumps too. Love it. Oh...what an Autumnal treat Jenny!! What a beautiful fall card Jenny! Love that background (I've printed off and saved your post for trying out later!) Such a lovely layering of shapes, colors and textures! stunning Jenny, just stunning. Love everything about it, in fact I have to go back and look again to see the beautiful layers! Jenny - you have put the rusted technique to fabulous use. I loved your Destination Inspiration, it is even better now that it is used in such a beautiful way. Gorgeous card Jennie and a great autumnal mix of textures. Lovely colors and textures of Autumn, Jenny! Love how you added some of those fabulous rusty bits, so perfect! Hugs! Fantastic seeing that rusty panel taking its place in this beautiful autumnal card. The leafy garland across the centre is simply gorgeous too! 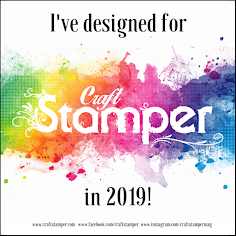 Thank so much for playing along with us at The Artistic Stamper. Great card, wonderful layers. I like how you compose your elements, you don't just dot things around. What a mix of gorgeous Autumn color! LOVE the acorns with the gloss! Excellent layers too! A fantastic piece of art with fabulous elements. This is all so well put together with elements from nature and man-made rusty/crusties. I love this combination--it reminds me of the old rusty machinery you might find in amongst the blackberry brambles in the fencerows back home. Great leaves--so natural looking, love the little acorns and twigs--the RUST!!! Your dragonfly and bow--all of it so gorgeous! Fantastic! Love all the beautiful layers of textures and die cuts with the autumn colours and stunning green of the dragonfly and contrast of red! Beautiful Jenny! Love the embossed background and sentiments! That dragonfly looks amazing! Thanks for the inspiration! Fabulous rich colours Jenny which sit so wonderfully on that beautiful rusty piece. A great autumnal feel! Beautifully put together pile of autumn leaves. Love the colours and all the detail! An amazing array of "metal" on your work of art, which thanks to the subtle leaves is still very autumnal. My favorite, can't-take-my-eyes-off-of-it piece is the green dragonfly. Wonderful. Thanks for joining us this month at MMCC. Wow! There is so much texture and interest in your card - would love to see it in real life! Thanks for joining us at the MMCC. Beautiful card! Love all the gorgeous details!! Thank you for playing with us at MMCC. Hope to see you with us again in October! So pretty! Love the color contrasts and that industrial part on the bottom.